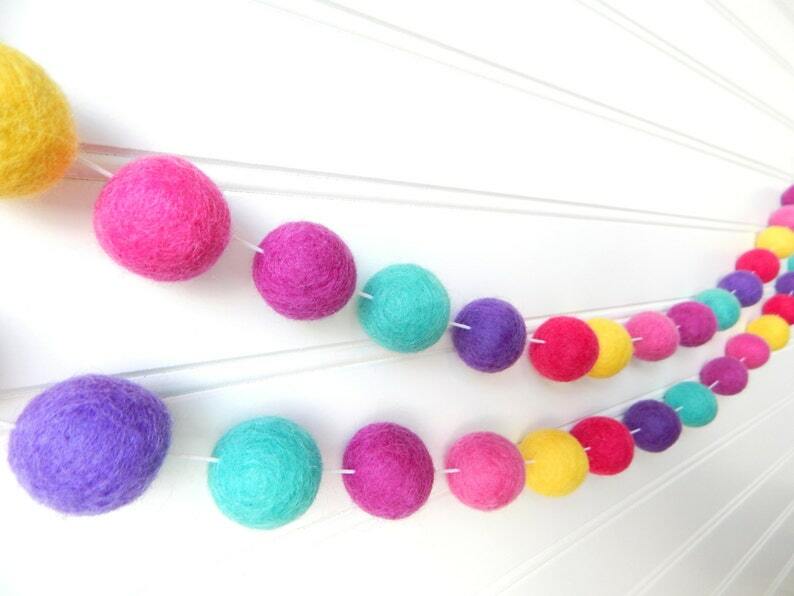 This adorable wool felt ball garland is made with alternating 3/4 inch yellow, hot pink, dark lilac, mint, mauve, and cotton candy balls will add a vibrant dash of color to your home or party. Please note that only the garland is included in this listing, not the other items seen in these photos. The gorgeous patchwork quilt was made by my talented sister Cherie, over at theredpistachio.etsy.com. 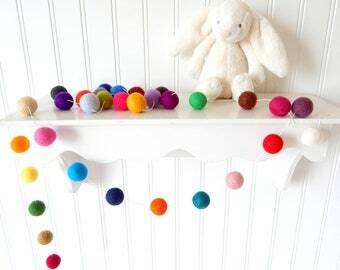 ** Please keep this garland out of the reach of children. 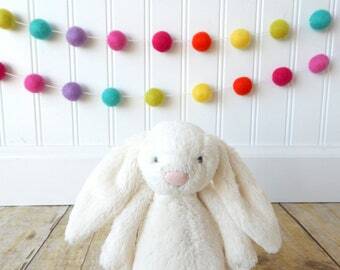 Very cute and cheerful. Looked exactly as expected. Beautiful quality and very fast shipping. Highly recommend!! !